Bundi, where time appears to have stood still, is Rajasthan’s best-kept secret. Its Taragarh Fort Palace rises to tower over this charming town of narrow lanes and interesting bazaars. It inspired Kipling to remark that it appears to be “The work of goblins rather than of men’. 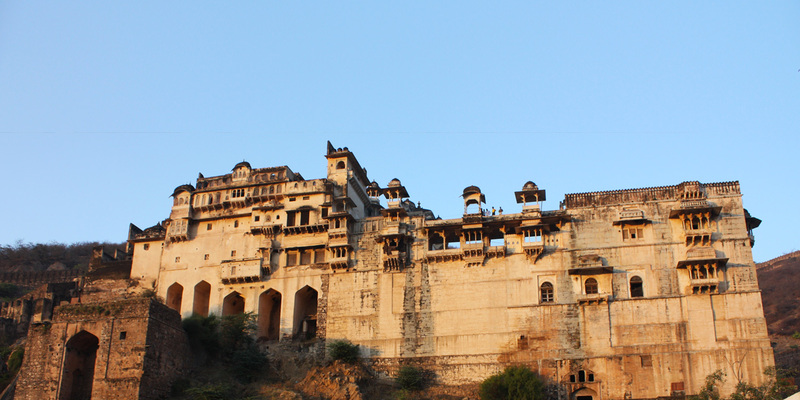 Far less well known than the big fortress cities visited throughout the rest of Rajasthan, Bundi’s charm lies in the fact that it is relatively undiscovered, yet it is set with the magnificent and imposing Taragarh Fort Palace, the former home of the Maharaja, looming above. 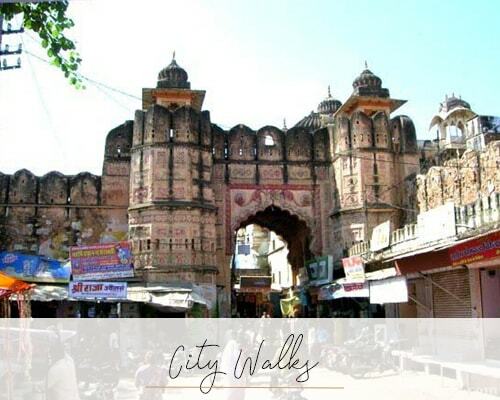 In addition to being an architectural marvel, and the focal point of the town, the palace offers to view 300-year-old paintings and murals, depicting gods, hunting scenes and battle,which are some of the best preserved in the country. Bundi is also famous for its baoris: terraced stone step wells, which were once used to store the rainwater for the long dry season. These are often beautifully decorated, with the most impressive being the Raniji-ki-Baori. Surrounded by ornately carved pillars and scalloped arches, at 150 feet deep, it one of the largest and finest of its kind. The whole combines to form one of the most picturesque locations of Rajasthan, but one which has remained isolated from mainstream tourism. It retains an atmosphere and hospitality, rarely found these days, in mainstream, busy destinations. The relative scarcity of cars and motorbikes in its streets, also ensure that it is still a pleasure to wander around on foot.